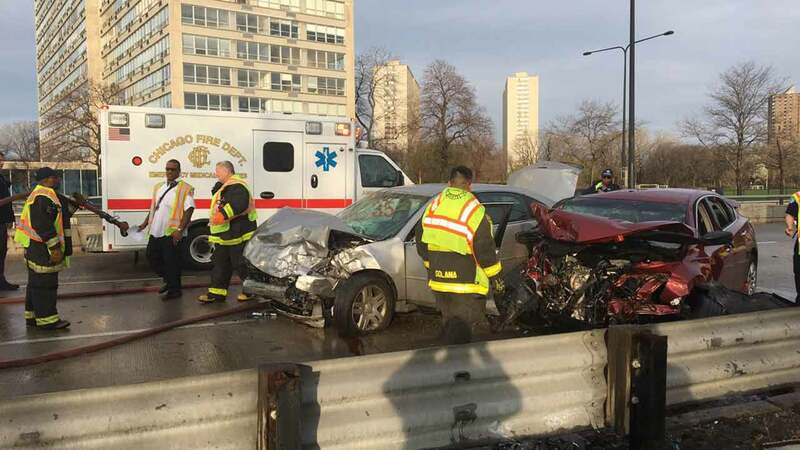 CHICAGO (WLS) -- Four people have been critically injured after a wrong-way crash on Lake Shore Drive in the Kenwood neighborhood Sunday morning, the Chicago Fire Department said. A car was heading south in the northbound lanes in the 4800-block of South Lake Shore Drive, the fire department said. Two people were transported in critical condition to Northwestern Memorial Hospital, one transported to Stroger Hospital in critical condition and a child was transported to Comer Children's Hospital in critical condition, the fire department said. The ages and genders of the victims were not immediately available.